Focolitus’ guys had once been great makers of songs so that everything they saw or thought or did or heard became a song. That was very long ago. 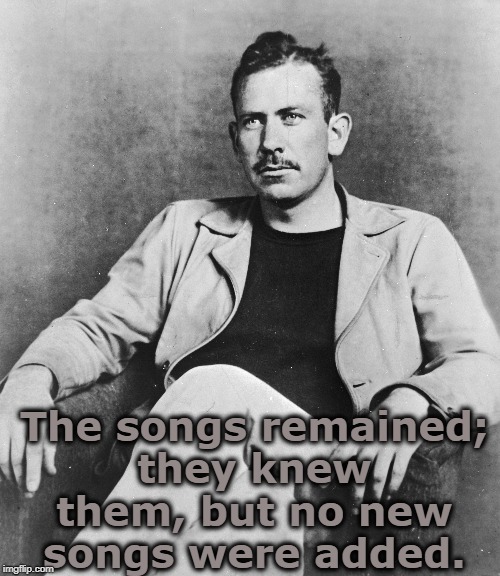 The songs remained; they knew them, but no new songs were added.